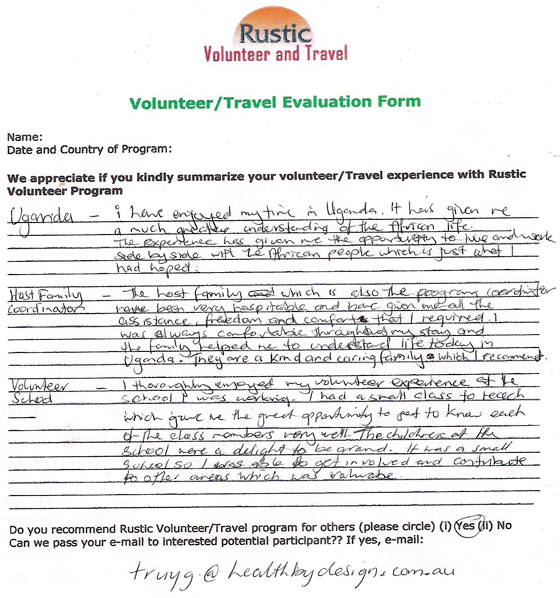 "Life changing, beautiful, adventure.... Those are some of the words that remind me of my time volunteering for Herman Lukwago at the Ttega Child Development Center. 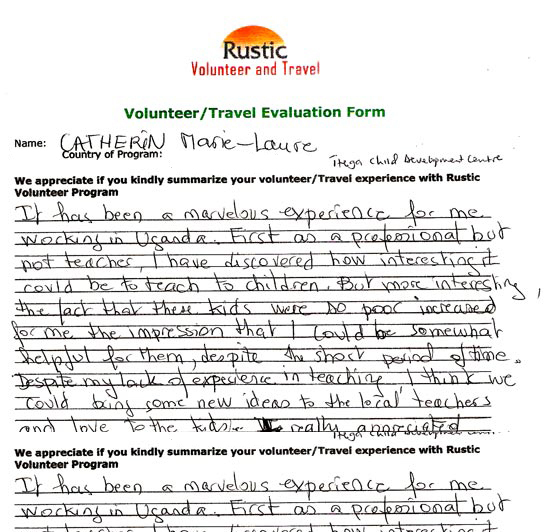 A social development conference gave me the excuse to make the trip to beautiful Uganda and I was fortunate to volunteer with Rustic prior to the conference. I was greeted very warmly by Herman, his family, and church members. They immediately made us feel at home and welcome in their country. Also, living on site a school and orphanage gave me a very interesting perspective. As a social worker it is so typical to leave our work behind, but living amongst those I taught really gave me an understanding for life in Africa. I found beauty in the everyday walks to the well with the children or in football matches with the students and teachers. This experience not only broadened my professional development as a social worker, but personal growth as well. I completely fell in love with the country and can't wait to go back! 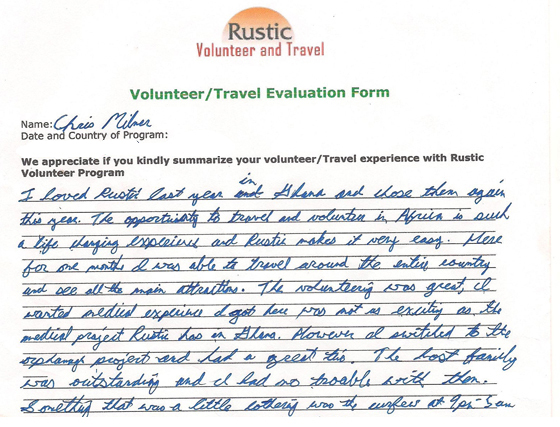 I am currently looking into doing another volunteer project in Africa with Rustic and am hopeful that I will have the opportunity to stay with Herman in the near future. 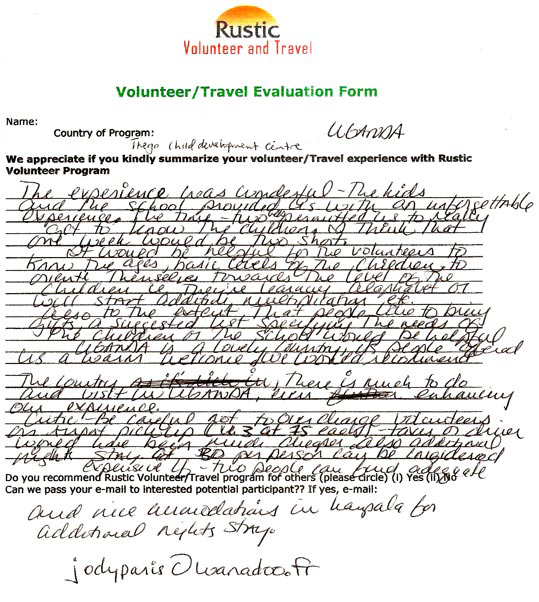 He provides a safe, caring, and accommodating volunteer location for anyone looking to broaden their horizons." Thanks for posting Debbie and thanks again Herman. You were wonderful and hope to see you and Ttega very soon! Tell all I say hello. First and Foremost I want to extend a sincere "Thank you" to all of you. 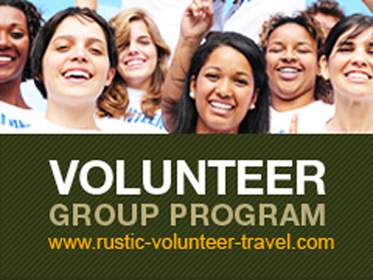 I would recommend Rustic Volunteer to ANYONE!!! Taylor plans on trying this again next year and we will most definitely use your services. 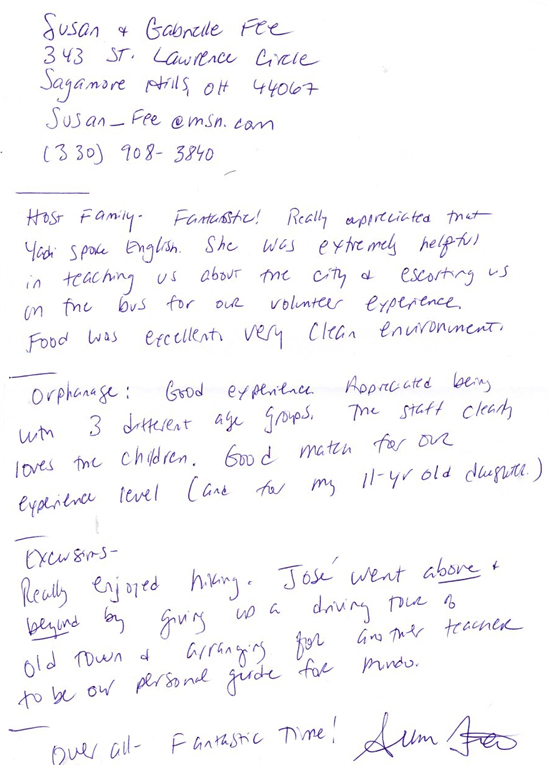 Franklin, thank you for your late night call, Debbie, thank you for all your calls, Sara, you and your Mom are great! Mohan, Bohrat (sp?) thank you, thank you, thank you. Taylor is feeling better, its been 24 hours since she last threw up, she is able to keep water down. She said she is just simply too exhausted to make the trip back to Kumasi now at this point. She loved everyone she came into contact with. She and I are disappointed that her illness brings her home early. I am sure because she is so determined she will be back to Africa. Once again you all provide stellar service, please feel free to give my phone number out to anyone looking for a reference on Rustic as I can not personally say enough.